Tonight I will be on BBC2 ‘How to beat tough times’ at 8pm. I was on Radio 4’s The Food Programme this weekend with Tim Hayward. Here you can ‘Listen Again’. He was exploring the links between a 1930s supperclub in Hampstead, at the Isokon building (built in the constructivist style) with Agatha Christie and other leading lights, with supperclubs in today’s London. The Isobar supperclub was experimental with food, also determined to keep dinners affordable and designed to promote interaction between intellectuals and artists. When I set up The Underground Restaurant in January 2009, I intended it to be a salon for ideas, and a place where the food promotes discussion. In the past we’ve had one dinner called The Conversationalist where possible topics of conversation were written on the place mats; my theme dinners such as the Elvis, Patrick O’Brian, Harry Notter, Edible Flower menus, and Umami night with a ‘mother’s milk’ course, surely provoked comment between diners. The Midnight feast with an all black menu, starting at midnight with guests in pyjamas and hair rollers, some carrying teddy bears, was another noteworthy occasion. We’ve got some interesting dates coming up with the Comedy club in my living room as a particularly exciting innovation! How will stand-up comedy fare in the intimacy of the home? 14th July/ Bastille Day: I will be doing a classic French menu fixe finishing with a ‘piece montée’, a croquembouche, which traditionally finished off feasts in pre-revolutionary France. So this dinner, accompanied by an accordeonist, will bear traces of the ancienne regime as well as the institution that emerged from the revolution: the restaurant itself, which derives from the bouillon, the ‘restaurant’, a restorative soup. This date has even been noted by ‘Serge the concierge’. 15th of August: Ferragosto: also known as The feast of the Assumption. This lunch will be celebrating the virgin. I will be sourcing and researching ingredients and dishes connected to her; in fact almost anything with the word ‘mary’ in it has associations with the Virgin Mary…rosemary, marigold… and I’ve ordered a mould of her image, just in case she doesn’t spontaneously make an appearance, say, on a grilled cheese sandwich…. 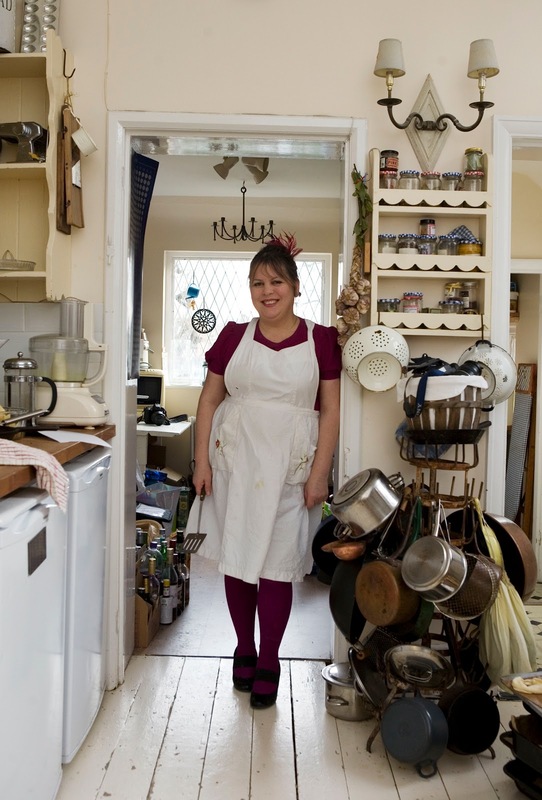 8th of September: Josie Long the comedienne will be hosting a stand-up dining night…you will be sitting down however… This is the first of a series of comedy supperclubs, laughs in the living room…where both established and emerging comic talents will be performing between courses. The food will be a joke obviously. 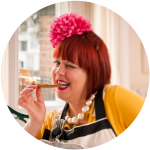 If you’d like to do a stall of your home-made goods, or do a demo, please get in touch marmitelover@mac.com I particularly want to encourage first timers. The weekend after I’m going to Paris, to visit French supperclubs such as the Hidden Kitchen and Jim Haynes. 2nd October: A late harvest festival, offerings from my Aga. I’m thinking Oktoberfest, pretzels and beer? 16th October: Dinner, but it’s getting to the mushroom season so will go out foraging. 13th November: a revolutionary dinner… inspired by Russia…anyone know where I can get cheap caviar? More dates will be up soon…teas, brunches and lunches…. Josie Long? How do you do it. Thanks for mentioning 'Serge the Concierge'. We are planning a 'Grilling with the Girls' Video on Bastille Day. Girls will not take the Bastille, they will take the grill over. Serge! I have family in New Jersey…but they are Scottish American. Shouldn't it be 'guillotining with the girls'? Wow! So many exciting things coming up. We'd love to visit you over the summer. The farmer's and craft's market day sounds particularly exciting since both Miss Lenoir and myself are creatives…who love a good cocktail! Miss Lenoir and Miss Fairplay: would be great if you could do a stall at the farmers market. But think more widely than cupcakes because we had a surfeit of sweet stuff last time. We will need some however. Was good to hear you on Food Programme on Sunday – you did well. Just tried iplayer to see what's going on in the world of TV, but it's not up yet. Listened to the podcast on Monday, my husband has decided I am officially a stalker, (I call it reasearch)……think he is just pissy about the apron he has to wear for the supperclub. Am inspired to make my next event a glam thirties evening,(with me in long vintage frock hiding my sneakers…) if only Ms Christie were attending…. The upcoming events look great, love the variety, although dont know how you do it every week…. Really pleased to hear you're holding another underground farmer's market – couldn't make the last one but will defo and try and make it this time. Nadya: that's exactly it! I lived for seven years in France and I got sick of the jibes about jam on our steak ect. Feeding boys: hope to see you then!